Dwight D. Eisenhower, Address to the Republican National Convention (excerpt). 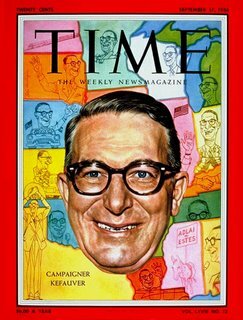 Buddy Holly, Changing All Those Changes. Janis Martin, Will You Willyum. The Valentines, Woo Woo Train. Tony Bennett, The Boulevard of Broken Dreams. Art Tatum and Ben Webster, All The Things You Are. Miles Davis (with John Coltrane), Dear Old Stockholm. Richard Wilbur, Love Calls Us to the Things of This World. Chuck Berry, Brown-Eyed Handsome Man. The Rockers, Down in the Bottom. Lefty Frizzell, Just Can't Live That Fast (Any More). Jeri Southern, No Moon At All. Chuck Willis, It's Too Late. The Spaniels, You Gave Me Peace of Mind. Peggy Lee, It Never Entered My Mind. Ready? Get a cup of coffee and enjoy. 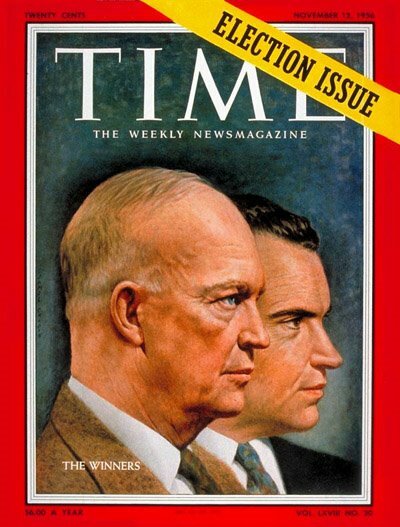 Dwight Eisenhower was re-elected in November '56 in one of the more anti-climactic American electoral victories of the century (even Robert Kennedy, disgusted with Adlai Stevenson, voted for Ike). The more one reads about Eisenhower, the odder he seems, talking about the horror and absurdity of nuclear war in the middle of his acceptance speech, offering as his final statement to the nation a grim warning about the "military industrial complex". This small excerpt is from Eisenhower's acceptance speech on August 23, 1956, from the Cow Palace in San Francisco. Entire speech (warning--long and dull) is here. "Buddy didn't fit into our formula any more than we did into his ... it was like two people speaking different languages ... our musicians were fantastic at what they were doing but they just didn't know how to do what he was doing..."
During the early spring of 1956, Holly went out to Nor Va Jak Studios, in Clovis, New Mexico, to record a few demos with Norman Petty. Suddenly, things began to align--the tracks were harder and had a vitality Holly's first Nashville session had lacked. Exhibit A: "Changing All Those Changes," which Holly performs as if he came out of the cradle singing rockabilly. (He would record a more professional version in Nashville that summer.) Less than a year later, Holly made "That'll Be the Day" at Nor Va Jak, and nothing would be the same again. On Reminiscing/Showcase. Charlie Feathers was another aspiring rock & roll contender, who recorded for seemingly every independent label around, including Sun. One of his early singles was "Tongue Tied Jill," a fairly tasteless track in which Charlie woos a stuttering girl, interrupted by twelve bars of fierce rhythm guitar. Recorded appropriately on April Fool's Day, 1956, and issued in June as Meteor 5032. (Meteor was Sun's biggest rival in Memphis--Feathers went there after getting frustrated with Sam Phillips' apparent indifference.) On Get With It. "Will You Willyum": divine rockabilly from the awesome Janis Martin, a 15-year-old who RCA marketed for a time as the "female Elvis." Recorded on March 8, 1956 and released as RCA 6491. Find here. "In and of itself, the song does not necessarily stand out among the others of its kind, but it contains arguably the wildest and most primal sax break I've ever heard on a doo-wop record. The man behind it is Jimmy Wright (who is also responsible for pretty much all the sax work on the Gee/Rama label, i.e. all the Frankie Lymon and the Teenagers recordings). Wright has been the inspiration for a lot of trademark mid-50s sound before electric guitars took over." He's not exaggerating about the sax break. More info on Jimmy Wright. Released as Rama 196 in April '56, find here. "Boulevard of Broken Dreams": One of Tony Bennett's most baroque performances, complete with a troupe of castanet players. "Boulevard" was one of the oldest songs in Bennett's repertoire--he recorded it on a demo disc in 1949, which inspired Mitch Miller to sign Bennett to Columbia, and also did a full studio version in 1950. This take was recorded September 13, 1956 and released on the album Tony the following year. Find on Essential Tony Bennett. Benny Green: In the first chorus, Art performs all kinds of harmonic sorcery so that after 36 bars the game is over, the performance is done, and everyone but Tatum can pack up and go home. Enter Ben, who plays more or less the written melody, embellishing here and there...by the end of the second chorus, Ben has established his parity, with the result that (Tatum's) beautifully subdued stride figures bubbling out of the piano sound more effective than ever. The track was recorded in Los Angeles on September 11, 1956, with Red Callender (b) and Bill Douglass (d). Less than two months later, Tatum was dead of uraemia complications. 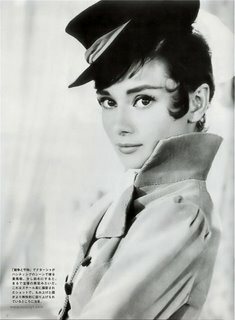 Find on Tatum Group Masterpieces Vol. 8. When '56 began, John Coltrane was still considered a relatively unknown player with questionable potential, having had an undistinguished career to date, mainly working as a sideman for the likes of Earl Bostic and Eddie "Cleanhead" Vinson; some players considered his tone to be abrasive and his soloing skills to be weak. Miles Davis had attended a session in which Sonny Rollins had utterly outclassed Coltrane, and so when Coltrane's name came up as a candidate for his new group, Davis "wasn't excited," as he wrote years later in his autobiography. Yet Coltrane was at last coming into his own--he dueled Sonny Rollins to a draw in the latter's "Tenor Madness," and he landed the saxophone slot in Davis' first quintet, which during the year churned out a mess of recordings in order to get Davis out of his Prestige contract and into Columbia, Davis' home for the rest of his life. Miles' First Quintet is the jazz equivalent of the 1927 Yankees--a group of ridiculously staggering talent, with Davis on trumpet, Coltrane on sax, pianist Red Garland, bassist Paul Chambers and Philly Joe Jones on drums. It was an erratic, volatile group--most of the players had drug problems, causing Davis to have to routinely sack them (Garland would be replaced by Bill Evans, Jones by Jimmy Cobb and Cannonball Adderley often subbed for Coltrane). "Dear Old Stockholm" is from Round About Midnight, Davis' first Columbia LP. "Stockholm," which closed out the record, is a harbinger of Davis' modal recordings of the late '50s. Using his Harmon mute to create a harsher, smoky tone, Davis leads the group through the opening passages; Chambers gets a lengthy two-chorus solo, with Garland breaking in to offer the main theme as a bit of sustenance; and then (around 3:25) Coltrane struts in like a bantam. Davis sits back, then provides a masterful, crafty response. Recorded on June 5, 1956. Richard Wilbur's Love Calls Us to the Things of This World was published in Things of This World. Find in Collected Poems. the morning air is all awash with angels..."
And Chuck Berry's "Brown-Eyed Handsome Man," whose lyric combines Burma Shave rhymes and Jackie Robinson imagery. Recorded on April 16, 1956, and released as Chess 1635; find on Gold. The Rockers' "Down in the Bottom" is a throwback to a waning sound, that of the early, heavy R&B, but I for one like throwbacks. Spearheaded by Ike Turner, the track was released as Federal 12273 c/w "Why Don't You Believe." I don't think it's available on CD. Lefty Frizzell's "Just Can't Live That Fast (Any More)" has some of my favorite lines: "I remember back when/the fun'd begin/noon the next day 'fore I'd come in." The greatest hangover anthem ever. Recorded on May 22, and issued the next month as Columbia 21530. Find on Look What Thoughts Will Do. Sanford Clark was discovered by a young disc jockey named Lee Hazelwood, who was looking for someone to record a song he had just written. They recorded the track with Clark's buddy Al Casey on guitar; it was released on the tiny label MCI (no relation to the phone company) and stiffed. Clark was delivering Canada Dry bottles in Phoenix when Dot Records signed him and re-issued Hazelwood's "The Fool," which became a top 10 hit by the summer. Clark spent the next decade trying to get lightning to strike again. It didn't. Clark ultimately grew tired of the hunt and went on to work in construction and to become a top blackjack player. "The Fool" was released in May 1956 as MCI 1003 and a month or so later as Dot 15481. Elvis finally covered it in 1970, in a masterful take that would be one of Presley's last great recordings. Find the original here. "Confidential" offered a similar story. Recorded by Sonny Knight (born Joseph Smith), it was first issued on the small Pasadena-based Vita label until, once again, Dot purchased it, reissued it, and got a top 20 smash out of it. And Knight never got another hit. Released as Vita 137 and Dot 15507, and can be found here. "Confidential" was written by Dorinda Morgan, who was a sort of surrogate mother for Knight (Knight lived at their house and recorded in the little studio Dorinda and her husband had set up). Years later, she would help discover the Beach Boys. And you can't have enough Jeri Southern--the swinging "No Moon At All" was recorded on November 20, 1956, and issued on the 1957 LP Jeri Gently Jumps. Find on The Very Thought of You. Joy: The Spaniels' "You Gave Me Peace of Mind." Issued on Vee-Jay 229 in December '56. On 40th Anniversary. 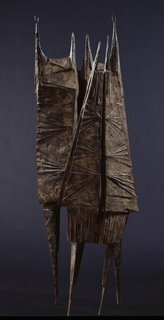 Despair: Chuck Willis' "It's Too Late." Recorded April 13, 1956 and issued as Atlantic 1098. Find on Stroll On. Later covered by Derek and the Dominos. And sad acceptance: dim the lights for Peggy Lee. Her version of Rodgers and Hart's "It Never Entered My Mind" was recorded on June 5, 1956 and issued a year later on the LP Dream Street; it can be found here. It's one of my favorite performances of hers--Lee's vocal is just heartbreaking. "It is not without the most sincere regret that I must now take leave of an accurate and faithful guide, who has composed the history of his own times without indulging the prejudices and passions which usually affect the mind of a contemporary." I will say the same about Allen Lowe, whose American Pop overview of music, which begins with the Unique Quartette in 1893, ends with the year 1956. Lowe's list of essential recordings has been of invaluable help in picking tracks for this blog--I never would have heard some of the choicest obscurities ("Can't Love Me and My Money Too," "E String Rag," "Shadow My Baby", "Pegasus", etc.) without Lowe's guidance. Lowe's book and 9-CD set are both long out of print, but if you do ever have the opportunity, try to pick them up. Seven Men From Now. Seventy-eight minutes long, not a moment wasted. The first and finest of Budd Boetticher and Randolph Scott's great string of Westerns. Un condamné à mort s'est échappé (A Condemned Man Escapes). Bigger Than Life. With this, an obsessive drug movie starring James Mason, the high period of Nicholas Ray comes to a close. Afterward was frustration and obscurity. Still, with They Live By Night, In a Lonely Place, The Lusty Men, Johnny Guitar, Rebel and others, Ray secured his claim as the essential American director of the period. The Searchers. Overrated where "Seven Men" is neglected, its themes strip-mined by countless imitators, it's still pretty phenomenal. The Killing. Kubrick at his leanest, with an ending that has rarely been equalled in its blunt fatality. "What's the difference?" Aparajito. Might be a 1957 film. The Last Hunt. Actual buffalo were shot during the filming. Anastasia. Ingrid Bergman: the Restoration. Bandido. Seriously, everything Bob Mitchum did in the '50s is worth seeing. 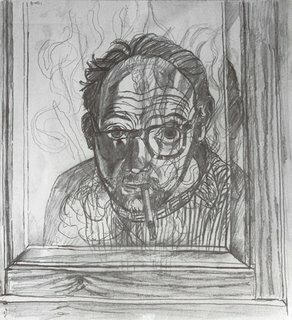 The Man Who Knew Too Much. Que sera sera. Johnny Burnette and the Rock and Roll Trio, The Train Kept a-Rollin'. Johnny Burnette and the Rock and Roll Trio, Honey Hush. Johnny Burnette and the Rock and Roll Trio, Lonesome Tears in My Eyes. 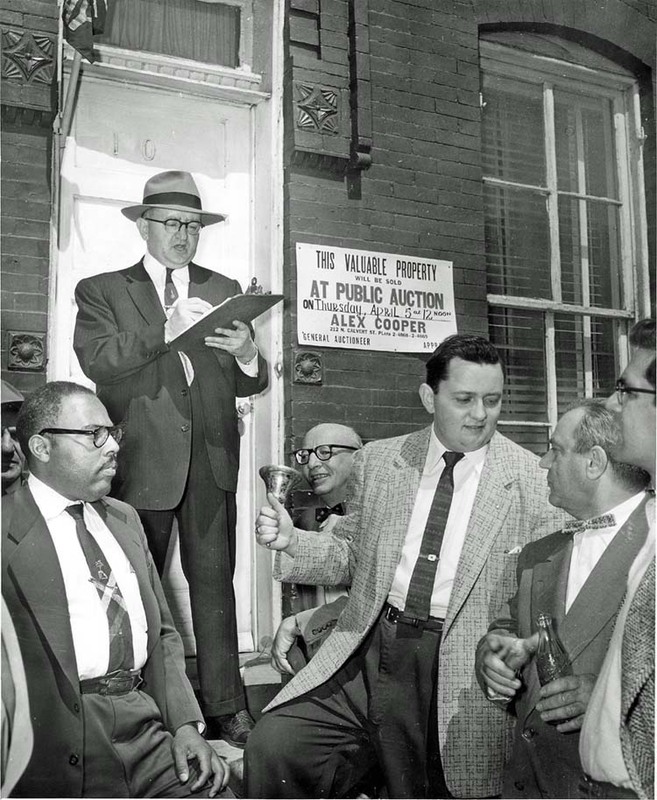 It is a mild Friday night in Evansville, Indiana, in October 1956, and the policemen stationed at the West Side Fall Festival, having expected a quiet night, are now apprehensive. The trouble starts as soon as the trio of young men take the stage, the last act of the night. The word is that they're from Memphis, that they used to hang out with Elvis ("Buncha greasers!" one boy calls out from the crowd). On stage, the leader, a skinny kid with lanky brown hair, stares out at the two thousand faces. It doesn't look like a sympathetic crowd--there's lots of girls, sure, but plenty of rough-looking boys, farm kids from up in Boonville, roughnecks who drove in from Chrisney smelling of trouble. The singer, Johnny Burnette, grips the microphone, twists a peg on his guitar, and then, with a barely perceptible nod to the guitarist on his left, launches into the first song. "COME ON IN THIS HOUSE--STOP ALLTHAT YAKKETY YAK!" And at once, as if fulfilling a compact they made hours earlier, the crowd begins to howl and sway. "HONEY HUSH!" Teenage girls, who make up the majority, start wailing, shrieking, flailing about. The band, now hardly able to hear themselves, drives on through their set. During "Rock Billy Boogie," someone hurls a tomato on stage; a boot gets tossed up during "Blue Suede Shoes"; "Tear It Up" brings on a rain of carnival debris--cotton candy sticks, hot dog wrappers, wet wads of paper. With each song, the sense of communal madness grows: a sense, the band can feel, the cops can feel, of things loosening, cracking apart. The bassist, his brother Dorsey Burnette, is hardly able to hear the two guitars in the maelstrom of noise, and searches his brother's face for a clue. Dorsey dodges a hurled apple and barely can make out what Johnny calls to him. "Train Kept a Rollin'!" "Train Kept a-Rollin'" is rock & roll at its most fearsome and brutal--it sounds like an old hobo song sung by a madman, with a break in the middle for the lead guitarist, Paul Burlison, to wreak holy hell on his strings. Normally, the sound Burlison generates--a bitter fuzzed tone--is enough to take listeners by surprise, but it's subsumed by the crowd noise tonight. When the singer begins screaming "I caught! a train! I met! a dame!" the response is a howl somehow louder and harsher than before; the frenzy bequeaths itself to a higher frenzy. The crowd hurls it back at them: "All night long!" "All night long!" By this point, the cops begin to surround the stage, sensing the last hinge is going. On stage, Johnny thinks for a second. Should they just end the set? His brother stares back at him, ready to vault off the stage in a second. But, casting fate to the wind, Johnny calls for "Hound Dog." A mistake. As soon as he gets out the first lines, as soon as some in the crowd grasp that he's doing "Hound Dog," it begins. Girls hurl themselves against the stage, cops are knocking back middle-class teenagers who, for the first time in their lives, are rioting. It's mass delinquency, pitched at a level no one here has seen before. "Hound Dog" breaks off, Johnny throws his guitar down, pulls off his coat and runs for the trailer behind the stage. The crowd isn't done with him. They pour around the stage, circling the roadster the singer drove up in. When Johnny emerges from the trailer, flanked by cops as though he's Senator Jenner, the girls rush him. Two get good gripholds on his shirt and, with adrenaline strength, yank it off him. It's a victory, now shared by ten or twelve other girls, who begin shredding the shirt to pieces. Johnny, utterly scared now, is running for his car. The cops are stunned--that girl, the one screaming and twining a slice of shirt-sleeve in her hands, she works at the A&P; a town selectman's son is trying to rip the bumper of Burnette's car. At last, the trio manage to drive off, leaving the madness behind them to dissipate into legend. When a reporter corners him later, Johnny Burnette, still stunned by it all, makes a crack: "I shoulda laid off that last 'Hound Dog'." 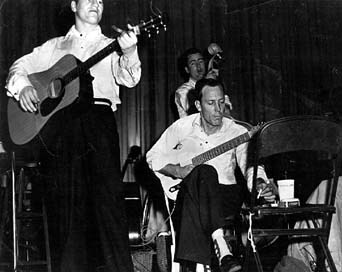 The short-lived Rock and Roll Trio consisted of Johnny Burnette, his older brother Dorsey and the brilliant guitarist Paul Burlison. Dorsey and Johnny were born in Memphis in 1932 and 1934, respectively, and went to high school with Elvis, as well as working with him at the Crown Electric Co. The brothers, after getting nowhere trying to be professional boxers, formed a group with Burlison in 1955 and auditioned for Sam Phillips. "Train Kept a Rollin", one of the best rock & roll songs ever made, was taped on July 2, 1956, "Honey Hush" (a Big Joe Turner cover) a day later. They were issued together as Coral 61719. In addition to the Trio, Farris Coursey played drums. Details here. Not all the Burnettes' tracks were as frenetic as "Train" and "Honey". One of their lovelier pop songs is "Lonesome Tears in My Eyes," also recorded on July 3. It was a favorite of the Beatles, who recorded it for the BBC's "Pop Go the Beatles" radio show, just as their fame in the UK was reaching fever pitch. Lennon's vocal is a bit smoother than Johnny Burnette's, but otherwise it's a pretty straightforward cover (the Beatles do add a little pseudo-Latin rhythm). The recording, from July 10, 1963, is on Live at the BBC. The Trio were kaput by 1957--Burlison got tired of music and quit, and the Burnettes went out to Los Angeles to become pro songwriters, writing for Ricky Nelson and others. Johnny Burnette reinvented himself as a teen idol, getting massive hits in 1960 with "You're Sixteen" and "Dreamin'" and died in a boating accident four years later. Dorsey eventually became a country singer until his death in 1979. All their great tracks can be found on Rock 'N Roll Trio/Tear It Up. 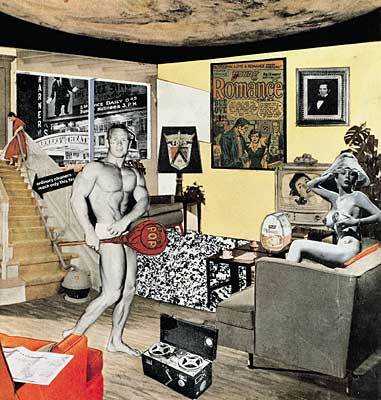 Top painting: Richard Hamilton, Just What Is It That Makes Today's Homes So Different, So Appealing?, 1956. 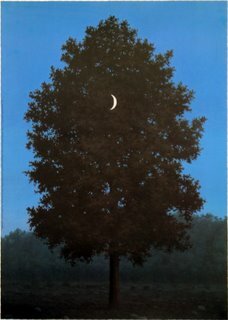 Bonus no-prize trivia question: what links this painting to the movie Caddyshack? Put answers in comments. 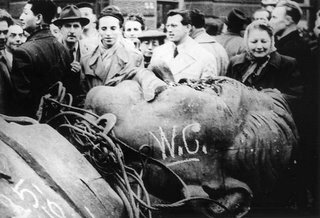 The next post will wrap up '56 in our usual overindulgent way, and then? Well, it's summertime (a time which, if last year was any precedent, readership falls off anyhow). So get ready for another of a series of "theme" posts, which will take up a good bit, if not all, of the hot months. The series should start next week, maybe. And it will be doled out slowly. A post every two weeks--maybe. More likely, every three weeks. I need the break, folks. Simple as that. So enjoy the snail-paced series of posts this summer and take some time off yourselves. Those who only crave the "year by year" format should look for 1957 to start around Labor Day. See you then. Nancy Jacobs and Her Sisters, Baby Are Yeng. Caveat auscultator: this song has the potential to infest the brain, so that years after hearing it, while you are waiting in line somewhere in an airport or bank, the refrain will come back to you unbidden. "Baby are yeng...down down Chicago...Chiiii-cah-go!!" (One testimony here.) But enjoy--it also swings harder than any other track waxed in '56. Nancy Jacobs, along with Dolly Rathebe and Dorothy Masuka, was one of the preeminent female South African singers of the '50s. Her best-known track is likely "Meadowlands," a protest song about the razing of Sophiatown. "Baby Are Yeng" is on the now out-of-print Township Jazz 'N Jive. Ray Charles, I Want to Know. "I Want to Know" is one of Ray Charles' more forgotten singles, though it was a decent-sized hit at the time--a shame, because it is one of Charles' key transitional pieces from the sort of R&B created by Louis Jordan and Big Joe Turner, into early soul music. There's a sense of change in the sound, from the use of call-and-response in the chorus to the heavier, more relentless mood that permeates the track. The same holds true for the singles that preceded it--"Drown in My Own Tears", which is basically a secular gospel song, and "Lonely Avenue". The latter was called a black response to Elvis Presley's "Heartbreak Hotel," but it's anything but a novelty. Charles recorded Doc Pomus’ “Lonely Avenue” on May 16, 1956; issued as Atlantic 1108. With Joe Bridgewater and John Hunt (trumpets), David Newman (alto sax), Emmett Dennis (bari sax), Roosevelt Sheffield (b) and William Peeples (d). The Cookies sang backup. “I Want to Know” was the follow-up, Atlantic 1124, released at the tail end of'56. Find both (heck, find everything he recorded in the '50s) here. 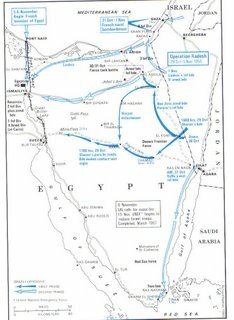 Top: The Suez War, autumn 1956. Or, the end of the old British and French empires. "A terrible waste of time and money." 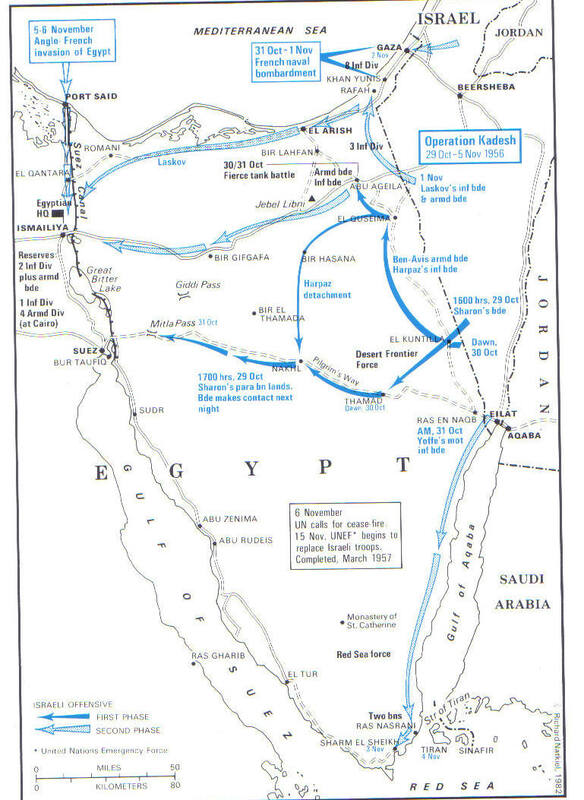 "The two main colonial powers were humiliated together by a military and diplomatic debacle in 1956...the government of the United States, keen to demonstrate anti-imperialist credentials, reproved their intemperate allies, who shambled out of the crisis, blinking uncertainly as if with sand-stung eyes...After that, the skirts of empire were lifted with indecent haste..."
For some reason, the comment boxes have been a royal pain lately. Some readers have told me their messages come up as garble, and now the "number box" does not accurately reflect the actual number of comments. Not that I get that many, but still, it's an irritant. So let me know if you're having trouble with 'em.. The Magnificents, Up On the Mountain. The Heartbeats, A Thousand Miles Away. One bright morning, Johnny Keyes, the lead singer of the Magnificents, climbs a mountain. I'm not sure where exactly, because the band lived in Chicago, but at any rate, he hauls himself up to the top of some crag, falls to his knees and sings a song of lamentation, begging for his girl not to leave him. Nothing happens. He goes back down, asks the girl's sisters and mother what went wrong--they have no answers for him either. Years pass, and he still wonders what happened, and where his money went, too. Recorded on January 21, 1956 and released in April as Vee-Jay 183. Although "Up on the Mountain" was a national hit, the group never succeeded in making a viable sequel (many great details are on Marv Goldberg's page). On Doo Wop Greats. "A Thousand Miles Away" is as desperate a story, if a bit more optimistic. The couple in this song are parted, living across the country (it could be a GI and his girlfriend; lead singer James "Shep" Sheppard, who wrote the song, was inspired by his girlfriend leaving Queens for Texas). Like many long-distance relationships, theirs consists of measures of denial and hope. Sheppard falls to his knees and prays--he knows the couple will be reconciled and reunited--he sings with such tender assurance that you know it will work out all right. In a sad, ridiculous bit of legal malice, the publisher of "Thousand Miles" successfully sued the publisher of "Daddy's Home" for copyright violation, even though Sheppard had written both songs--the judgment destroyed both the Limelites and Hull Records. Sheppard's career never recovered, and he was found dead on the Long Island Expressway in 1970, the victim of an apparent robbery. "Thousand Miles" was recorded in August 1956 and released in September as Hull 720. On Golden Age of American Rock and Roll Vol. 8. Carl Perkins, Boppin' The Blues. Carl Perkins, Everybody's Trying to Be My Baby. Ray Harris, Come On Little Mama. Roy Moss, You're My Big Baby Now. Eddie Bond, Flip Flop Mama. The Cochran Brothers, Tired and Sleepy. Don Woody, Let's Make Like A Rock and Roll. Elvis Presley appeared on national television eleven times during 1956--first on the Dorsey Brothers show and then, ascending through the hierarchy of variety shows, on Milton Berle, Steve Allen and finally Ed Sullivan, who pronounced Presley safe for public consumption. So you can imagine each consecutive appearance, along with each new RCA single, being another verse of the gospel, spreading far and wide. 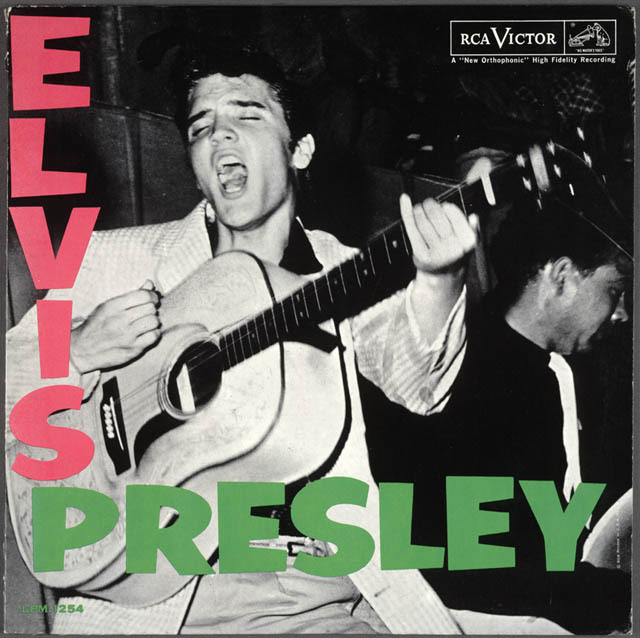 Throughout the year, they seemed to emerge in response--rangy, ambitious, sometimes nasty guys, mainly country boys like Presley had been (and still was, really). Five years earlier, three years earlier, they would have tried to sound like Webb Pierce, but now there was something new in the air. The success of Presley, and Carl Perkins, whose "Blue Suede Shoes" had dominated the country, R&B and pop charts in early '56, and Johnny Cash, who by mid-'56 had recorded the essential "Folsom Prison Blues" and "I Walk the Line," created a whole different set of options. But he had the sound. "Boppin' the Blues" is one of the tracks I would offer if someone asked me to define what rock and roll is. It's one of the best things ever made--I can't be objective here, folks. Just enjoy it, and play it loud. 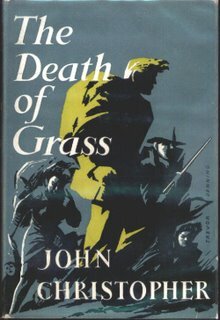 Released as Sun 243 in March 1956. Find both on Original Sun Greatest Hits. 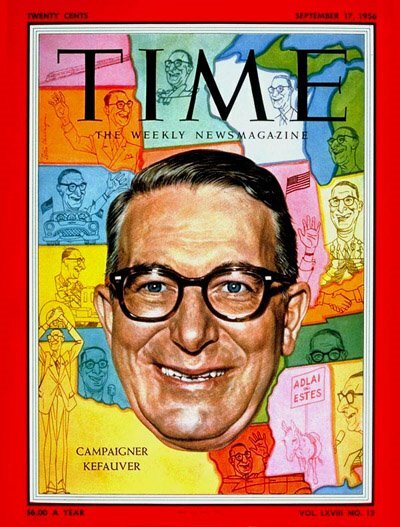 While recording Cash and Perkins, Sam Phillips also found some other aspirants. 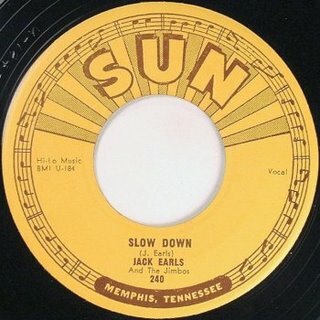 Sun 240, released in May '56, featured the scorching "Slow Down" by Jack Earls. Born in 1932 in Woodbury, Tennessee, Earls had moved to Memphis by the late 1940s and played with a few local bands. 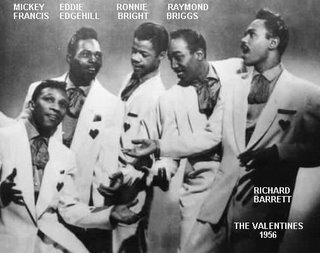 He auditioned for Phillips in 1955--Phillips loved his intense vocals but didn't care much for the group Earls had put together (some five or six guitarists!). So Earls started fresh--he nabbed Bill Black's brother Johnny, Danny Walquist (b) and Warren Gregory (d), and in late '55 recorded a track Phillips loved--"Hey! Jim". Phillips planned to release it as the A-side of Earls' first single, and even suggested renaming the group "The Jimbos" as a further way to sell the song. But then Earls dashed out "Slow Down" one night in early '56, and when Phillips heard it, he scrapped plans to put out "Hey! Jim" and went with the former track instead. It was a solid, if regional hit, but Earls had no more Sun releases. Mainly it was because Earls didn't want stardom that badly--he had a steady job at the Colonial Bakery, and didn't care to spend every waking hour singing and plugging his singles. And Sun 254, released in September, featured the vicious, frantic masterwork that is Ray Harris' "Come On Little Mama." Harris, born in Tupelo, Miss., in 1927, was working at Firestone Tire in Memphis in the early '50s when he met Bill Black, and through Black, the regular crew at Sun Records--Elvis, Scotty Moore, and Phillips. Harris was in the recording booth the night Presley cut "Good Rocking Tonight," which converted him to rock & roll, and soon afterward Harris wrote "Come On Little Mama". Phillips recorded it, Sun released it, and Harris was off. Find both on Red Hot Rockabilly Classics. 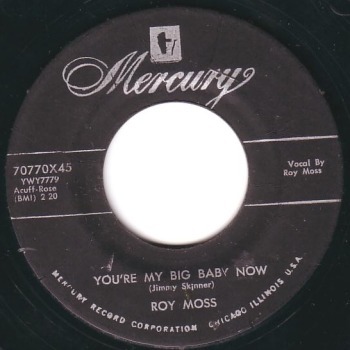 The mysterious Roy Moss released three singles (two in '56 and another in 1958) and then vaulted right into oblivion. Does anyone know anything about him? Rev. Frost? All we know is that "You're My Big Baby Now," his first, shuddering single, was released in January '56 as Mercury 70770. Eddie Bond is best known as the guy who allegedly told Elvis, back before Presley recorded his first Sun single, that Elvis should go back to driving a truck. Still, Bond didn't seem to obsess too much over his wrong bet (and he and Elvis apparently were friends afterward)--Bond released a number of great tracks in the '50s, and still occasionally plays today. "Flip Flop Momma" was the b-side of "Slip, Slip, Slippin' In," released as Mercury 70882 in June '56. You can find both on That'll Flat Git It! Vol. 11. Eddie Cochran and Hank Cochran were not brothers, but billed themselves as such. Eddie was born in Minnesota in 1938 and his family moved to California in the early 1950s. His early career was quite similar to Buddy Holly's--his partner Hank, a more traditional country player, mainly sang lead while Eddie concentrated on guitar, and their songs were generally standard country numbers. However, just like Buddy Holly, Eddie saw Elvis perform, and walked away radicalized. No longer content to do country songs, and also chafing to get more lead vocals, Eddie pushed for the duo to record some more uptempo songs. In February '56, they recorded "Tired and Sleepy," which is anything but. Soon afterward, the Brothers broke up, Eddie wound up performing "Twenty Flight Rock" on The Girl Can't Help It, and the rest is legend. Released in June 1956 as Ekko 3001. Find on Somethin' Else. And wind out with Don Woody. A DJ who wound up singing with a western swing band and who wrote Brenda Lee's first single, Woody recorded four tracks for Decca in Nashville, all of which were fantastic--"Bird Dog" and "Barking Up the Wrong Tree" were released as Decca 30277 and, while the single sold well enough, Decca declined to extend his contract. More bizarrely, the label chose not to release the other two songs from the session--the awesome "Morse Code" and the mighty "Make Like A Rock and Roll." Woody, after another frustrating experience with Arco in 1958, called it quits and left music entirely, his testament being a few sticks of dynamite that still sound amazing today. Find on "Rock and Roll" on That'll Flat Git It Vol. 2. Oh, dear God, this is terribly sad news. 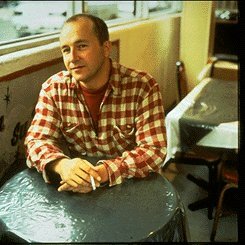 For those who didn't know of Grant McLennan, he was one of the two songwriter/singers who were the core of the 1980s Australian band the Go-Betweens--if you had to draw a Beatles parallel, he was the McCartney of the pair. McLennan's songs, however, while often featuring rousing choruses and hummable melodies, had an acerbity to them, a sense of loss, of time's transience. Take "Cattle and Cane", off the Go-Betweens' 1983 Before Hollywood--a song about a young man coming home by train, though there's no real happiness in his return, and it's unclear why he is coming home--possibly a funeral of a parent. (McLennan later said the song was inspired by his father's death.) Or "Bye Bye Pride", from 1987's Tallulah, in which the world is crystallized for one brilliant moment--"A white moon appears/like a hole in the sky/the mangroves go quiet"--with the sense that it all will fade immediately upon the song's end, that life itself is no more than a holiday somewhere. When the band split up at the end of the '80s, McLennan went on to record on his own some marvelous records during the following decade. I think I've mentioned his masterpiece, 1994's Horsebreaker Star, before--it's a 2-disc set, some 20 or so tracks, almost all of which are incredibly well-written pop songs, performed with a drive and assurance that belies the facts of its creation (basically, McLennan flew into Athens, Ga., and, over a few days, quickly recorded the tracks with a bunch of pros he had never met before). It was one of the best things to come out of that decade, and it's of course out of print. So here's to Grant McLennan. God bless. The Go Betweens, Cattle and Cane. The Go Betweens, When People are Dead. (sung by his partner in the Go-Betweens, Robert Forster, but sadly apt). The Go Betweens, Bye Bye Pride. Grant McLennan, Ice in Heaven. Grant McLennan, Open My Eyes. Grant McLennan, From My Lips. George Russell, Concerto for Billy the Kid. Allen Ginsberg's "Howl" gets all the press, but his "America," also published in 1956, has always appealed to me more. For one thing, it's incredibly funny, particularly in this recording, which is more stand-up routine than poetry reading. Taking in all of recent American history, from the Red Scare to the rise of the homogeneous suburban society, and herding in all the leftist sacred cows he could remember (from the Wobblies and Sacco and Vanzetti to the Scottsboro Boys), Ginsberg hashed it all together into a fantasia in which history is reincarnated as ridiculous myth, with Ginsberg himself at the center, a joyful imp of affirmation. It occurs to me that I am America! I am talking to myself again! As someone (Luc Sante, I think) recently said, Ginsberg was the last American poet whose work had the impact of rock & roll songs (for good and ill, in terms of Ginsberg's later work--remember "Ghetto Defendant"?) This recording of "America" comes from the Town Hall Theater, in Berkeley, California, in March 1956. Find here; "Howl and Other Poems" is here. America this is the impression I get from reading the newspapers. Elsewhere in the country, the arranger and composer George Russell, after working for a decade in relative obscurity, at last got the chance to make a record. Russell, who had written "Cubano Be, Cubano Bop" for Dizzy Gillespie, was a classic American crank. A genius as well as gadfly, Russell spent countless years on what he believed would be his masterwork, a tome called The Lydian Concept of Tonal Organization. "It acknowledges the existence of a central tonality and an underlying tonic tone (or primary axis) for a whole area, regardless of the degree of dissonance used in the area." The era of jazz mathematics had begun. In The Jazz Workshop, his first album as a leader, Russell "aligned each musician like a layer in a cake" (Gary Giddins) . Take the pulsing opening of "Concerto for Billy the Kid," in which the arrangement is staggered to let each player make his entrance. "Billy the Kid," however, mainly consists of "attempts to supply a frame to match the vigor and vitality in the playing of the young pianist Bill Evans," as Russell admits in his liner notes. This is Evans' first great recorded performance: a solo that begins as an Astaire-like solitary tap dance. "Billy the Kid" was recorded in Webster Hall, NYC, on October 17, 1956. With Art Farmer (t), Hal McKusick (alto sax), Evans (p), Barry Galbraith (g), Milt Hinton (b), Paul Motion (d). On Jazz Workshop, which is now out of print, so get it cheap on Complete Bluebird Recordings. The Jayhawks, Stranded in the Jungle. The Cadets, Stranded in the Jungle. "Meanwhile, back in the jungle..."
The pop cultural grandfather of all sorts of things, from the TV show Lost to the Who's "A Quick One While He's Away." An axiom of '50s pop: If you had a hit, a half-dozen other labels would try to steal it. The game for the copycat labels was to A) make a record that so impeccably mimicked the original it would confuse the record buyer enough that she would buy the inferior disc; B) take a "black" record and smooth it out enough so white people would buy it (viz. Pat Boone); or C) make a record that was so much hotter than the original, that people would forget the original. In this case, it's option C. Putting the Jayhawks' "Stranded in the Jungle" against the Cadets' version isn't much of a fight. The Jayhawks' main problem is that the lead singer just can't get it together--the guy sings in a half-mumble and can barely deliver his lines. The clammy stink of the cut-rate permeates the disc. After all, the poor Jayhawks' first record, "Counting My Teardrops," was so badly produced that you could hear a phone ringing in the studio in the background. "Stranded in the Jungle", the B-side to "My Only Darling," is almost as cruddy, its best feature being the solid rhythm the nameless studio musicians lay down during the "jungle" verses. When the Jayhawks' "Stranded" began to get some regional airplay, the Cadets smelled blood. They were already sharks in the cover game, having rushed out versions of Nappy Brown's "Don't Be Angry," the Marigolds' "Rolling Stone" (which outsold the original) and had contributed to the never-ending "Annie" series with a single called "Annie Met Henry." So by 1956, the Cadets were R&B pros, and, led by the great lead vocal of William "Dub"Jones, they turn "Stranded in the Jungle" into the sort of Mad Magazine-meets-the-Robins bit of genius it was always intended to be. But what do I know? As far as I'm concerned, this is a New York Dolls song. The Jayhawks' version was released as Flash 109 (find here); the Cadets' was released as Modern 994 (find here). The Dolls' is on 1974's Too Much Too Soon (which is out of print?). 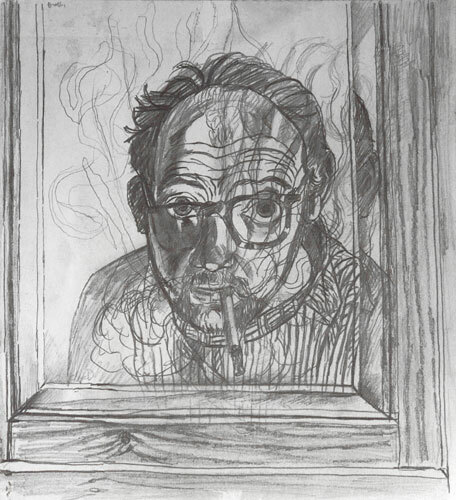 Top sketch: John Bratby, Self-Portrait.